I know this is a long shot but does anyone have an RR block they would part with? My '66 AC Corsa has a 110 block. Edited 1 time(s). Last edit at 09/13/2018 05:02PM by MattNall. That must be a truly RARE Corvair item. 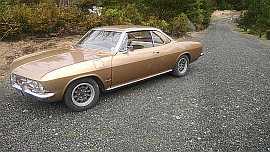 > That must be a truly RARE Corvair item. Correct! I recall there were something between 150 and 175 Corsas with A/C. Re: WTB : RR CASES! Edited 1 time(s). Last edit at 09/13/2018 06:29PM by gnvair. ONLY 153 ? ? ? 50+ years later . . .
5 people currently looking for one? Better luck finding hens teeth! So that must be like a "name you price" kind of part, eh? I just sold one, but it was complete with the car. I pieces out another one 30 years ago, sadly it was missing the original motor. Good luck on your hunt. That is the rarest coded block to find. Since it's for show... why not just use Loctite Liquid aluminum and restamp? > Liquid aluminum and restamp? That doesn't sound really ethical. I realize that the word RARE, is used way too often concerning our cars, but only 153 made seem to me that this actually qualifies. I am really piqued, now. No one has actually answered my question. 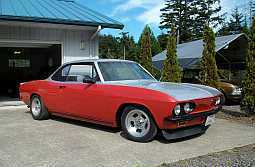 Just what is one of these rarest of the truly rare Corvair parts sell for? Since I want one 20x normal price. Well, maybe we will be able to 3D print as many RR blocks with whatever date codes we want in just a few years (the 3D printer dudes will definitely have to do Corvette parts first ). Here is a thread that discussed RR Blocks back in 2017. I’d pay 500 for a bare RR block. More for a complete core motor. Craig, that is/was a really nice car! There maybe could be an RR block that might be coming to market soon. Joel says 20 X . . . . I for one am glad that concours correct is generally not in my vocabulary when it comes to my Corvair's. While there are some aspects that I prefer to be factory stock and correct, reproduction and updated components have their place too. My main concern is to have a solid well assembled, dependable vehicle that I can drive and enjoy. Is a Monza 140 with air the same block code? Is the code specific to the model or the engine? Junk, looking at "The Classic Corvair", pg 25 has all known engine codes. According to it, 1966 500's & Monzas had RZ & RY codes for 140 with A/C. RZ was Manual trans, while RY was PG. So, to answer your second question. Yes, the RR codes was/is specific to the '66 Corsa Model, and the Engine. Edited 1 time(s). Last edit at 09/15/2018 05:00PM by American Mel. 3500? In someone’s dreams. I don’t care enough to pay that much, unless someone wants a 3500 quick steering box with arms.